The Warsaw Treaty Organization of Friendship, Cooperation, and Mutual Assistance (1955–1991), more commonly referred to as the Warsaw Pact, was a mutual defense treaty between eight communist states of Eastern Europe in existence during the Cold War. The founding treaty was established under the initiative of the Soviet Union and signed on 14 May 1955, in Warsaw, Poland. The Warsaw Pact was the military complement to the Council for Mutual Economic Assistance (CoMEcon), the regional economic organization for the communist states of Eastern Europe. The Warsaw Pact was a Soviet military response to the integration of West Germany into NATO in 1955, per the Paris Pacts of 1954. 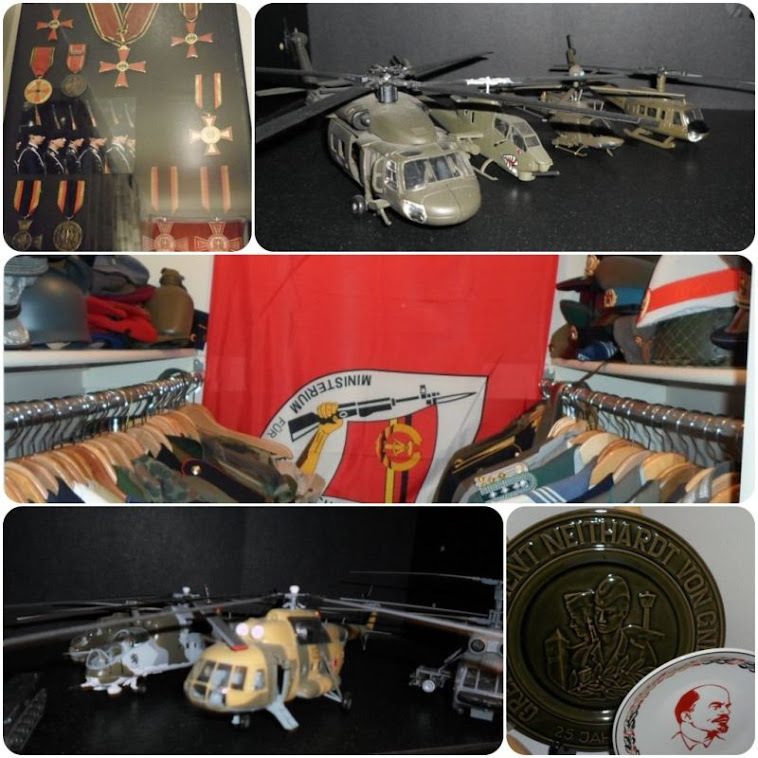 The Warsaw Treaty’s organization was two-fold: the Political Consultative Committee handled political matters, and the Combined Command of Pact Armed Forces controlled the assigned multi-national forces, with headquarters in Warsaw, Poland. Furthermore, the Supreme Commander of the Unified Armed Forces of the Warsaw Treaty Organization was also a First Deputy Minister of Defense of the USSR, and the head of the Warsaw Treaty Combined Staff also was a First Deputy Chief of the General Staff of the Armed Forces of the USSR. Therefore, although ostensibly an international collective security alliance, the USSR dominated the Warsaw Treaty armed forces. The strategy of the Warsaw Pact was dominated by the desire to prevent, at all costs, the recurrence of an invasion of Russian territory as had occurred under Napoleon in 1812, German forces in 1918 (ended with the Treaty of Brest Litovsk) as well as Hitler in 1941, leading to extreme devastation and human losses in all cases, but especially in the third; the USSR emerged from the Second World War with the greatest total losses in life of any participant in the war. 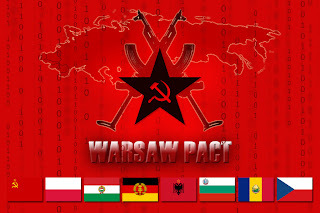 On 14 May 1955, the USSR established the Warsaw Pact in response to the integration of the Federal Republic of Germany into NATO in October 1954 – only nine years after the defeat of Nazi Germany (1933–45) that ended with the Soviet and Allied invasion of Germany in 1944/45 during World War II in Europe. The reality was that a "Warsaw"-type pact had been in existence since 1945, when Soviet forces initially occupied Eastern Europe, and maintained there after the war. The Warsaw Pact merely formalized the arrangement. The eight member countries of the Warsaw Pact pledged the mutual defense of any member who would be attacked; relations among the treaty signatories were based upon mutual non-intervention in the internal affairs of the member countries, respect for national sovereignty, and political independence. For 36 years, NATO and the Warsaw Treaty never directly waged war against each other in Europe; the United States and the Soviet Union and their respective allies implemented strategic policies aimed at the containment of each other in Europe, while working and fighting for influence within the wider Cold War on the international stage. In 1956, following the declaration of the Imre Nagy government of withdrawal of Hungary from the Warsaw Pact, Soviet troops entered the country and removed the government. The multi-national Communist armed forces’ sole joint action was the Warsaw Pact invasion of Czechoslovakia in August 1968. All member countries, with the exception of the Socialist Republic of Romania and the People's Republic of Albania participated in the invasion. Beginning at the Cold War’s conclusion, in late 1989, popular civil and political public discontent forced the Communist governments of the Warsaw Treaty countries from power – independent national politics made feasible with the perestroika- and glasnost-induced institutional collapse of Communist government in the USSR. In the event the populaces of Hungary, Czechoslovakia, Albania, East Germany, Poland, Romania, and Bulgaria deposed their Communist governments in the period from 1989–91. On 25 February 1991 the Warsaw Pact was declared disbanded at a meeting of defense and foreign ministers from Pact countries meeting in Hungary. On the 1 July 1991, in Prague, the Czechoslovak President Václav Havel formally ended the 1955 Warsaw Treaty Organization of Friendship, Cooperation, and Mutual Assistance and so disestablished the Warsaw Treaty after 36 years of military alliance with the USSR. Five months later, the USSR disestablished itself in December 1991.